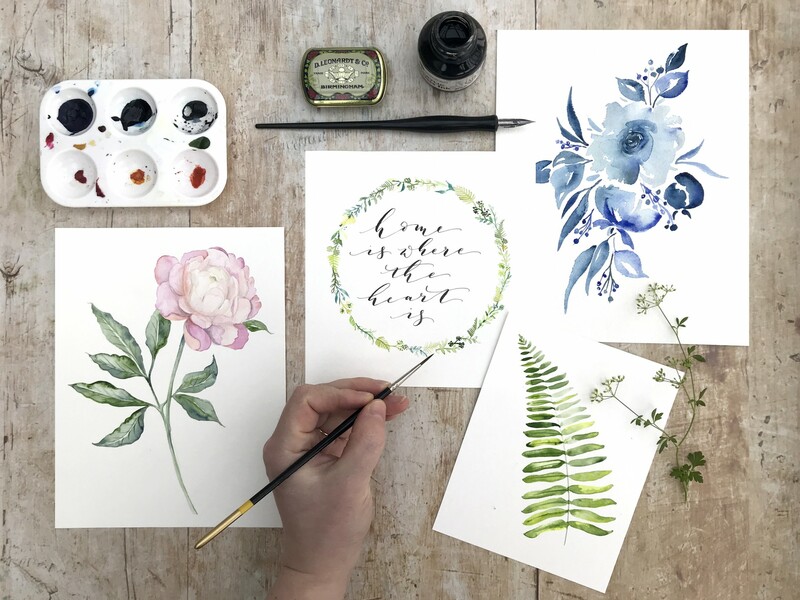 My foodie senses are tingling with excitement with the announcement of our latest workshop venue: de Winton Paper co will be running a full day Watercolour and Calligraphy course at the River Cottage! This full day ‘de Winton Paper co at River Cottage’ class takes place in the Indian Summer settings of Sunday September 16th. We will find inspiration from the wonderful River Cottage gardens. You will learn the fundamentals of watercolour as well as the key steps to painting any plant or flower. After a busy morning you will finish off the class with everyone painting a watercolour wreath choosing whichever plants and flowers they have enjoyed painting the most. You will then enjoy a delicious River Cottage Lunch and the afternoon will be spent with an introduction to the Modern calligraphy trend. You will learn basic techniques with a dip pen nib and ink. From there you’ll copy a lower and upper case alphabet, numbers and punctuation. You will learn about how to join up the letters to make words and phrases. We will finish off the class with each attendee creating a chosen phrase or quote in their own personal free style. This is going to be a very special day and tickets are already selling well. This is a limited capacity space, so if you would like to book I highly recommend you do it soon. 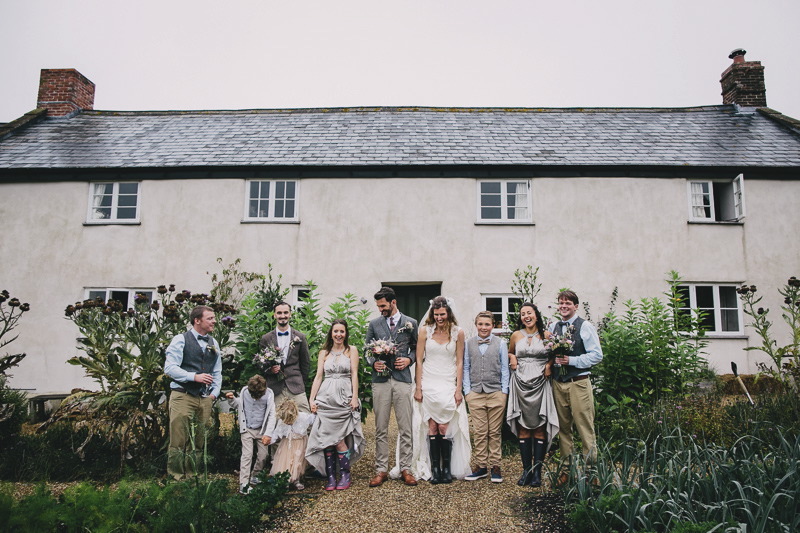 River Cottage is not only known for being the home of Hugh Fearnley Whittingstall’s gastronomic activism and tv shows, it is also a beautiful Wedding Venue. They are having an open day on April 21st 2018 so you can come and visit the farm and see just how enchanting it is. 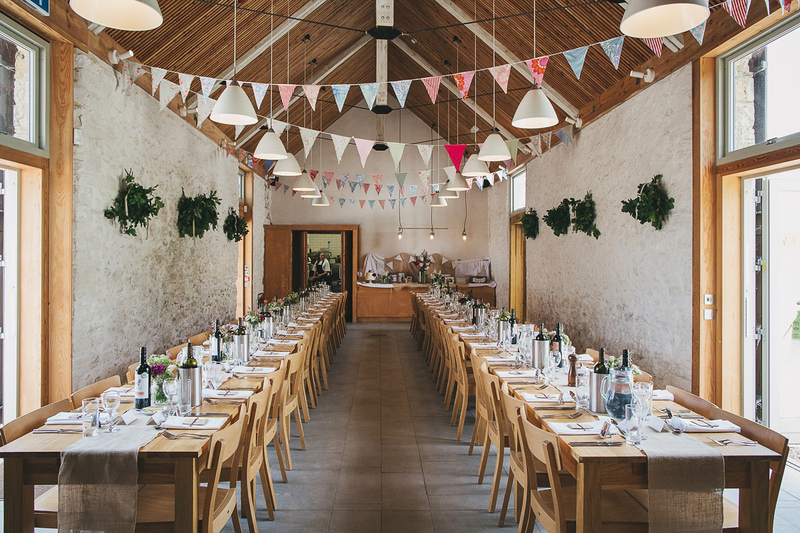 You will be transported down the hill on their trusty tractor bus and greeted with all sorts of delights; wedding suppliers, venue tours and treats from the kitchen. I will be there so you can come and have a chat and hear some more about the wonderful class I will be hosting as well as discussing your wedding stationery needs for your wedding day. The internet can provide us with anything at the touch of a button, but when it comes to planning your wedding day, there is nothing like getting out of the house and going to meet the suppliers you might use and stand in the venue that you might choose. 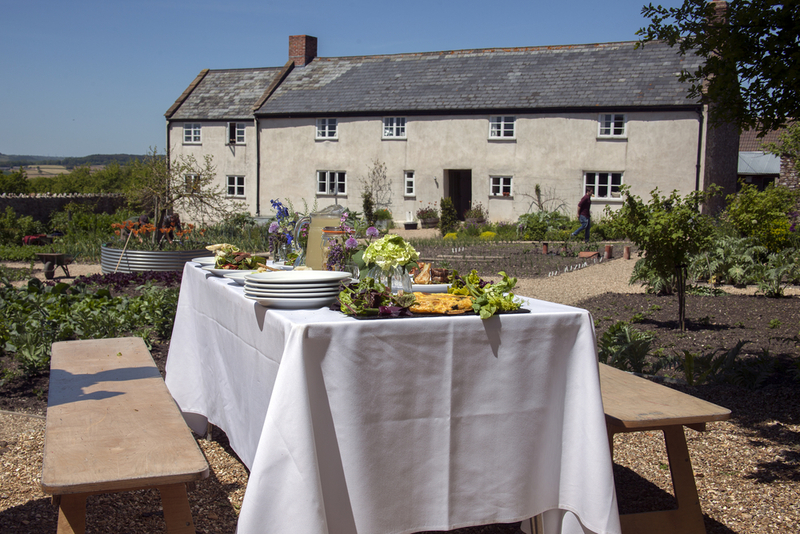 River Cottage is a venue so deeply rooted in nature, you will feel refreshed and invigorated within minutes. It’s environmental sensitivities guarantee that you will be eating the freshest, seasonal produce and being looked after by the most sincere and enthusiastic team. This is no advert, this is just how I feel about an organisation that continues to set a very high standard whilst having a pile of muddy wellies at the door.